The Square House is the cornerstone of the Harvard Shaker Village. Although it predates their arrival, Harvard and visiting Shakers revered it due to its direct connection with Shaker founder Mother Ann Lee and her earliest followers, who were referred to as “Mother’s first born.” The Shakers knew the house as either the Square House or Mother’s House. Shadrach Ireland and his followers built the house in 1769. Ireland was a “New Light” preacher who had fled from Charlestown, Massachusetts, where he feared persecution and/or arrest. He abandoned his wife and six children to live in Harvard with a female spiritual consort and minister to a small group of followers that had severed themselves from the Harvard church congregation. According to Henry Nourse in A History of The Town of Harvard, Ireland’s followers worked to conceal his presence and built the house in the cloak of darkness, installing a secret staircase that led from the cellar to the cupola so that Ireland could hide himself or exit without being seen. They built in a bell system to forewarn the presence of strangers. The stair rail and woodwork in “Ann Lee’s bedroom” are attributed to Ireland, who died suddenly in 1780. Mother Ann Lee and a small group of followers had based themselves in Watervliet, New York, near Albany. A religious revival, termed “The Great Awakening” had severed congregations, creating “New Light” Baptist groups scattered throughout New York and New England. The Shakers found these “New Light” groups to be particularly open to Shaker doctrine, so in 1781 Mother Ann embarked on a missionary trip to New England aimed at gaining converts. She and her followers arrived at the Square House in the summer of 1781. Mother Ann Lee claimed the house and the people there to be those she had seen in a vision while she was in England. Ireland’s followers were initially resistant but the Shakers persisted, and once they had endeared themselves to its inhabitants, Mother Ann moved into the Square House and used it as her base of operations until she returned to Watervliet in 1783. 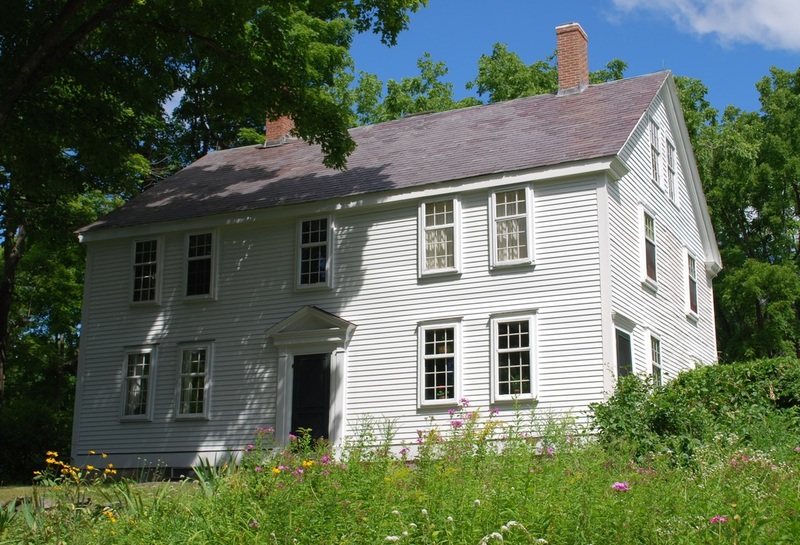 During her occupation of the Square House, hundreds of followers from out of town assembled there to hear the preaching of Mother Ann and the Shaker Elders. Shaker worship there was said to be audible for miles and consisted of wild dancing, leaping, and “shaking. ” The townspeople of Harvard were alarmed and suspicious of the Shakers. Some believed them to be English spies and others were concerned about their beliefs on celibacy and feared that they would break up families. Townspeople approved a Town Meeting warrant article that directed the Board of Selectmen to take action and remove the “undesirables” from Harvard. A mob formed at the Square House, which included militia to enforce the edict. The Shakers were forcibly driven from town, with many whipped and brutally abused along the way. Mobs and violence continued to plague the Shakers at the Square House and other places they went. When Mother Ann and her entourage returned to Watervliet, her Harvard followers continued to use the Square House as a meetinghouse until they formally established Harvard Shaker Village in 1791 and built the Harvard Shaker Meetinghouse. Since that time, the Square House has served a variety of purposes. As “Mother’s first born” were reaching old age, it housed the elderly. From 1856 to 1880, it housed the Girls Order, and, starting in 1894, non-shakers leased the house. People called the building the Square House because it originally had a hipped roof and cupola. It was renovated in 1806 and again in 1845, when the gable style replaced the previous roof and slate replaced the wooden shingles. The front door pediment is a Colonial Revival addition.